Check out their new location! (SPOT.ph) Filipinos have a sweet tooth. There’s no doubt about it. But considering all of the desserts and sweets available in the Metro, who would have thought that gourmet marshmallows would be one of them? Most people are used to the tiny marshmallows that come in bags at the supermarket, or the ones that are added to hot chocolate as an afterthought. But once you see Pufft’s marshmallows, it'll be hard to forget them. 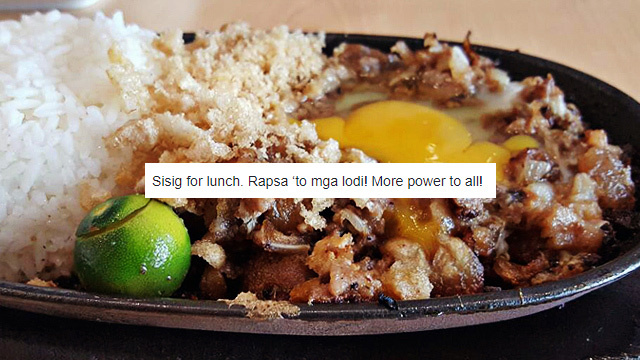 Pufft is a bit of an open secret: While they’re one-of-a-kind and have only one stall in Uptown Bonifacio, they initially got noticed after winning the Yummy Eats People’s Choice Award back in 2015. They caught some attention then and they're still getting people interested now, because the second you come across Pufft beside the cinemas, it's easy to see why people are drawn to it. The booth is covered with cute art by Yanyan Gervero. Their logo is in black and white, in cute and puffy-looking lettering with a nice inked look. The booth and their packaging are covered with sweet little doodles of everything from cats, stars, flowers, and robots, to cars and fruits. 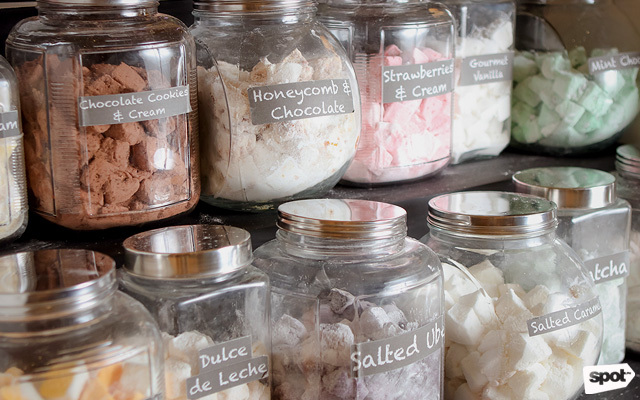 Meg Hornsby-Bates created the concept purely from her own love of marshmallows. Meg studied in De La Salle College of St. Benilde and in the U.K., where she also worked as a chef. After getting married and starting a family with her husband, the chef of CargoFish, she decided to shift into making her own creations. Given her background and experience, and the fact that she doesn’t have much of a sweet tooth, it might seem a little surprising that Meg is behind Pufft. But her love for marshmallows is reflected in her creations. The flavor is added to a specific part of the marshmallow-making process. About 90% of their ingredients are locally sourced, and all their flavors are natural. Each flavor is represented by a cute cartoon character. For example, Rose Lychee is a pink girl with long eyelashes and a pet cat, Honeycomb and Chocolate is a golden monkey, and Salted Ube is a dark purple block waving a Philippine flag. 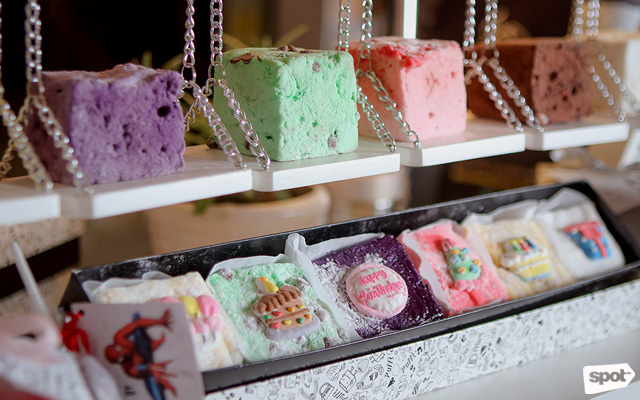 The actual chunks of marshmallows, lined up in the glass display in enticing pastel colors, costs P50. The Gourmet Vanilla marshmallow, the most classic of the bunch, has a vanilla taste that’s not sweet or cloying. The lychee in the Rose Lychee tastes very natural and fresh, with subtle floral notes. The Salted Ube has an understated yam flavor with a nice touch of saltiness that really brings out its natural flavor. Pick this one if you’d like to try a one-of-a-kind marshmallow. The Chocolate Cookies and Cream flavor is made for anyone who doesn’t like anything too sugary but still enjoys their chocolate. The chocolate flavor of this one is on the lighter side, with hints of cookie flavor in it. If you want stronger chocolate-y flavors, try the Mint Chocolate. The mint is substantial, but funnily doesn’t taste like a mint leaf. It tastes exactly like mint chocolate—kind of like they’ve taken a bar and put it in a marshmallow. Another great strong flavor is the Honeycomb and Chocolate, which has a fragrant honey taste, but feels very light on the chocolate. This one has the cutest cheeky little cartoon monkey illustration. A surefire crowd favorite would be the Salted Caramel. It tastes nothing like the typical overly sweet and salty flavoring found in other desserts. The salted caramel here has a very bold but polished taste. 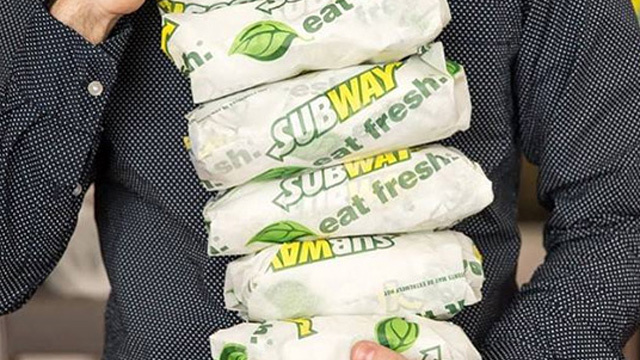 Write this down: This is the flavor you'll want in your gift box. What's surprisingly wonderful is that the marshmallows aren't thick, heavy, or overwhelmingly sweet. 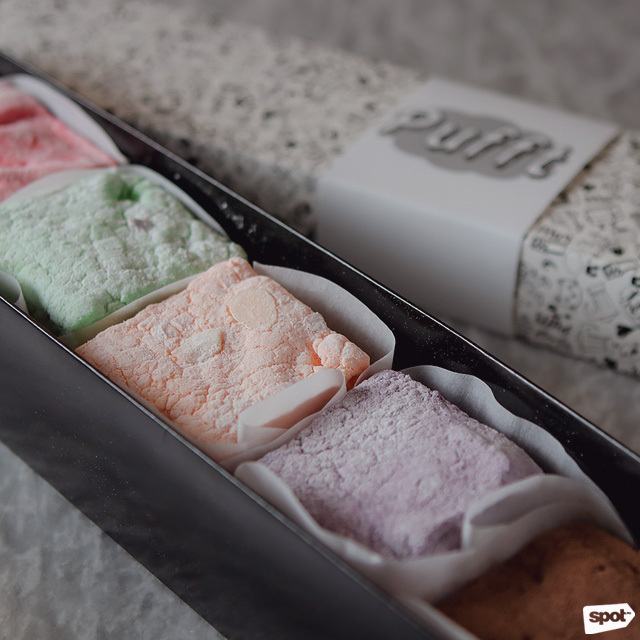 Pufft's marshmallows are pillowy on the outside but have a delightfully light and creamy texture on the inside. They almost feel like ice cream, except they're not frozen. 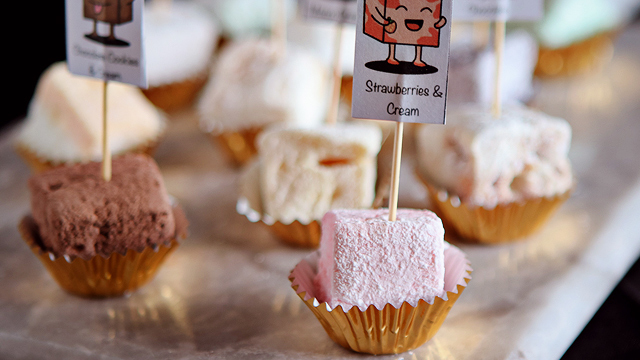 A Pufft Pick ‘n’ Mix, or a bag of these smaller marshmallows, can be had for P100. It’s very tempting to stock up on all the marshmallows since there’s no need to refrigerate them. 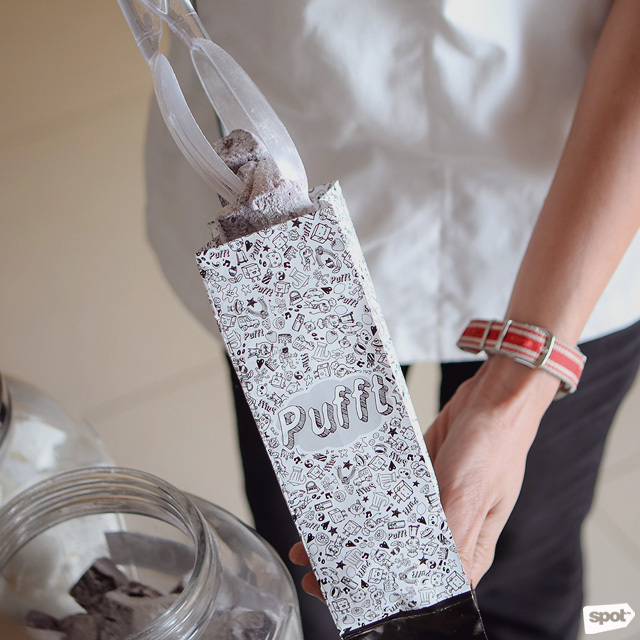 A six-piece gift box costs P280, a marshmallow pop is at P90, while a toasted marshmallow stick is at P60. You can also order a birthday box of six pieces at P400. 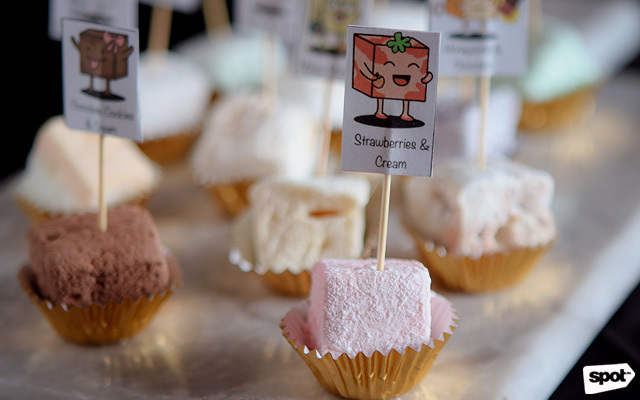 Pufft also does customized marshmallows for events like weddings, baptisms, and parties. 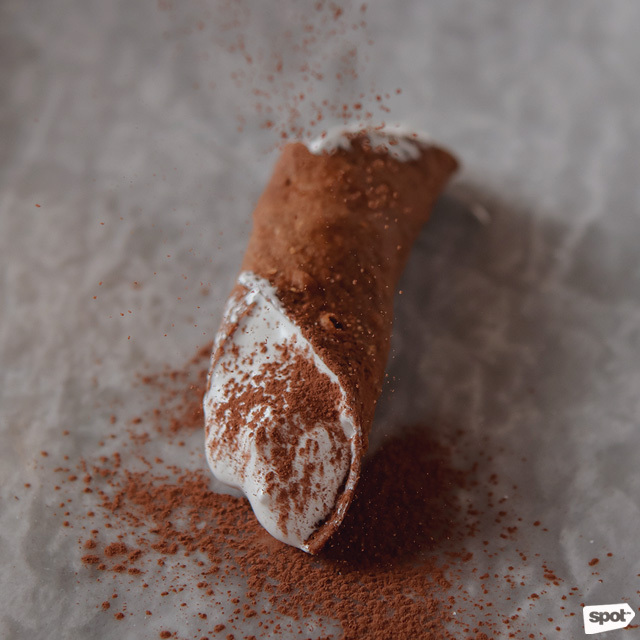 If you're a sweet tooth but want something else other than their usual roster, Pufft offers a wonderful Stuffed Cannoli (P100/two pieces), which has melted marshmallow inside a cannoli shell. The marshmallow filling is so creamy, it'll remind you of ice cream stuffed cannoli, although not as cold. 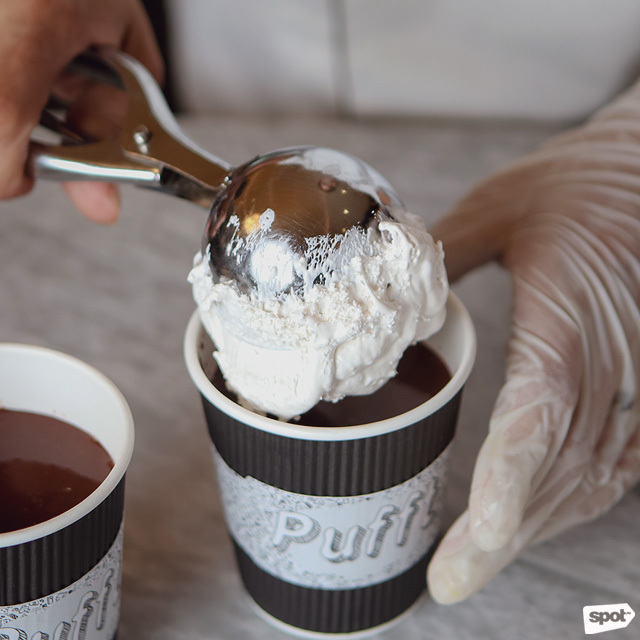 Pufft also has an addicting Hot Chocolate (P150) with a thick, luscious layer of melted marshmallow that’s lightly toasted on top. Spoon through the marshmallow to get to the gooey and sumptuous liquid chocolate underneath, or you can just drink through the liquid marshmallow itself. It’s perfect for a cold, rainy day, a chilly movie theater, or even as a nice post-lunch beverage. Marshmallows are a constant in almost everyone's childhood. 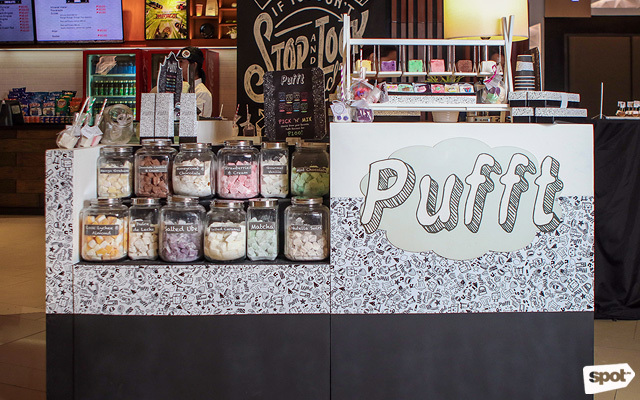 But if you feel like you've outgrown the sweet treat, Pufft just might change your mind.